A December 2018 survey by Home Innovation Research Labs revealed that offsite construction is gaining popularity among new home builders. Why might developers in the home construction market be utilizing this construction method and what does a transition from onsite to offsite construction mean for the industry over the next few years? Here, the home builder warranty pros at Professional Warranty Service Corporation discuss the basics of offsite construction, the results of Home Innovation Research Labs’ survey, and what takeaways can be made regarding the future of home building and new construction home warranties. To gain a better understanding of the current and upcoming trends in new home building, it’s important to know exactly what the construction technique means. 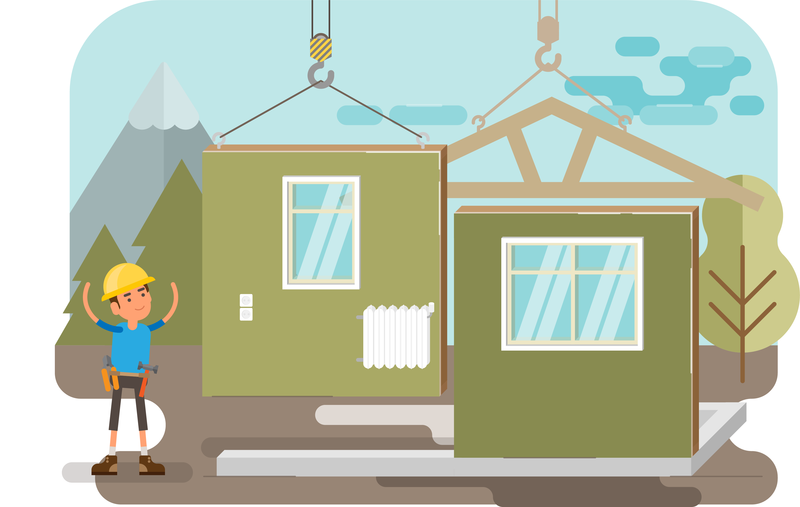 What is offsite construction? In the home building industry, utilization of offsite construction implies that the majority of the steps and stages of a project are completed at a location other than where the actual construction will take place. This includes design and planning as well as fabrication, manufacturing, production and assembly of building materials. The primary advantage of utilizing offsite construction is the faster and more efficient completion of home building construction projects. In addition, Roy Griffith, DCD contributor and director of corporate development at Clark Pacific, notes others benefits of prefabrication such as helping builders better manage the skilled labor shortage, compressed construction schedules, reduced neighborhood impacts and early cost certainty. Some of the most popular offsite construction techniques include pre-assembled roof trusses and pre-cut framing packages that contain most of the flooring and walls needed to build a structure. After eight months, the surveyors followed up with the home builders with the same questions regarding their plans for these offsite construction practices to see whether their forecasts had changed. 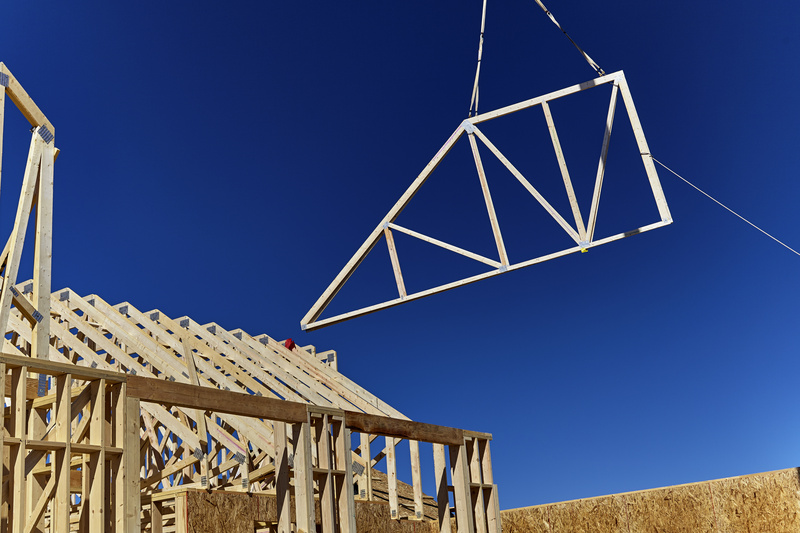 Results from both the initial stage of the survey and the eight-month follow-up revealed that the number one offsite construction choice for home builders was roof trusses. Roughly 70 percent of those surveyed indicated that they would continue using roof trusses for their projects over the next few years. Additionally, over 40 percent noted their plans to use pre-cut framing packages, 34 percent said they would use open-wall panels over the next five years, and 29 percent said they would utilize floor panels. For the follow-up survey, nearly twice the number of home builders than in the initial poll said they would be using more open- and closed-wall panels for their new home construction projects. Among large and mid-sized developers and home builders, open-wall panels were the most popular offsite construction solution followed by pre-cut framing packages and panelized pre-assembled floors. What can be expected in regard to ongoing trends for offsite construction? Based on their survey, Home Innovation Research Labs predicts that open-wall and floor panels will see the most rapid usage increase over the next decade. This prediction is also attributed to the large number of shops and factories throughout the United States as well as the fact that these offsite construction techniques do not require as much effort or adjustment to implement as other solutions. The researchers expect to see an increase in closed-wall panel systems as well. Home Innovation Research Labs also predicts a slight uptick in modular building systems and precast panel systems over the next few years. According to IWBCC (Industrialized Wood-Based Construction Conference), an increase in the use of offsite construction for new home builders can also be attributed to a skilled labor shortage in the residential construction industry as well as a shortage in affordable housing. A January 2019 survey by the National Association of Home Builders indicated a 75 percent shortage of carpenters and an 85 percent shortage of subcontractors. While these surveys offer some indications regarding the future of new home building and offsite construction methods, new construction home warranties should not be overlooked. In recent years, the home building market has seen an increased demand for new homes while simultaneously facing a labor shortage and increased construction costs. It’s vital for developers to minimize risk and be prepared for what’s to come in the home building industry. PWSC partners with home builders by providing third-party, new construction, home warranty programs for all types of residential building projects as well as legal resources, claims resolutions and marketing support. To learn more contact us today.